Last week, New York Times writer Charles Duhigg discussed an interview he had with Target statistician Andrew Pole. After being approached by coworkers in the marketing department, Pole devised a way to reach potential customers during one of the few times in a person’s life when purchasing habits and routines are most vulnerable to change. The trick to reaching this susceptible demographic, however, was for Pole to find a way to target it before the birth is a matter of public record—the point at which offers and advertisements from every known retailer pour in and, as a result, drastically diminish in their effectiveness. Enter Target’s Guest ID system. While this information collection system has been in place at Target for quite some time, Pole was able to find a way to use its vast stores of information on purchasing habit and connect it with customer demographic information—which is both collected into the same Guest ID system and purchased from other companies who collect personal information. By doing so, Pole was able to develop a “pregnancy prediction” score to assign to shoppers, as well as a reliable estimate of when the baby would be due. Despite its genius, however, Pole’s system is hardly unique. Not only do other retailers use similar systems to send relevant advertising to potential long-term customers when a baby is on the way, but Target and others have also developed ways to use their vast information reserves to pinpoint consumers during other major life changes. Whether someone’s got a baby on the way, an upcoming wedding, or even a new job, chances are retailers will find out rather quickly without ever actually having to ask. 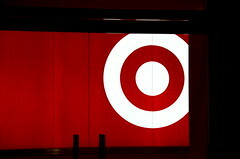 In fact, a Target store in Minneapolis knew that a young woman was pregnant before her own father did. After complaining to the retailer that his daughter was erroneously receiving maternity-related ads in the mail, he was surprised to find out that Target made no error at all. Unsurprisingly, the implications of a system so invasive have been mulled over time and time again. The idea of Target and other retailers being able to know whenever individual consumers are undergoing major life events and bombard them with customized messaging and offers has many wondering when consumers or regulators are going to decide that the line has been crossed. While it’s hardly speculative to assume that most people appreciate getting offers that are applicable to our wants and needs, it is equally clear that most don’t think it worth the value of their privacy. Although most people are relatively complacent in the face of the industrial complex that has arisen based on the sale, trade and questionable use of their own personal information, this by no means equates to consent as these retailers would surely argue. This leads to the question: what can consumers actually do to better guard their information? Because retailers can purchase personal information without permission from individual consumers, the idea that abstaining from these stores will solve the problem falls terribly short. Even if one is willing and able to stay off the corporate radar in terms of buying habits, it is unrealistic to think that this will make the ads cease or, on a larger scale, make retailers change their ways if a large group of people go underground. Nor do third-party blocking tools or opt-out tools do the trick. As an October study at Carnegie Mellon University discovered, these tools proved largely ineffective or overly complex for consumers to utilize. “Even with additional education and better user interfaces, it is not clear whether users are capable of making meaningful choices about trackers,” the study concluded. So what’s left? Easily manipulated website privacy ratings? Deleting all email, social media, and other online accounts? Those hardly seem promising either. After all, if retailers were physically searching people’s wallets and purses every time they went outside their homes, the right solution wouldn’t be to lock themselves in their houses. That being said, few choices remain. Either consumers will continue passively accepting what most of them would never select if presented with a true choice. Or they will use the one establishment that stands (or should stand) between them and a world devoid of privacy.